Posted on April 30, 2008 by D.C. 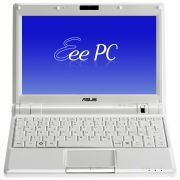 Couple of interesting things were posted over at jkkmobile yesterday about the 8.9-inch Asus Eee PC 900. First up, a video review from jkkmobile of the Eee PC 900 was posted (Direct YouTube link). Next, some photos of a black Asus Eee PC 900 were posted on flickr (including some high resolution ones). This is the first we’ve seen of an actual black Eee PC 900 – up until now we’ve only seen white models (the smaller 7-inch Asus Eee PC comes in several different colors). This entry was posted in ASUS, Netbook, News, Reviews, Reviews - Video. Bookmark the permalink.